Quality glass-fronted merchandisers offer great visual impact and massive product selection. Our equipment is configured to meet your needs and is supported by expert technical backup. The defining feature of the BevMax 4® is its impressive interactive illuminated display. The BevMax 4 35 selection provides maximum sales impact, attracting users to its incredible choice with 35 drink selections. 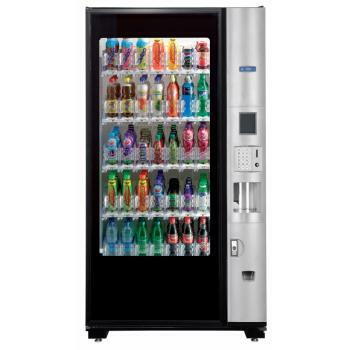 A highly reliable machine with a capacity of up to 315 drinks, developed by the leading European vending manufacturer. A larger configuration of the BevMax 4 is also available. The defining feature of the BevMax 4 is its impressive interactive illuminated display. The BevMax 4 selection provides maximum sales impact by attracting users to its incredible choice of 45 drink selections. 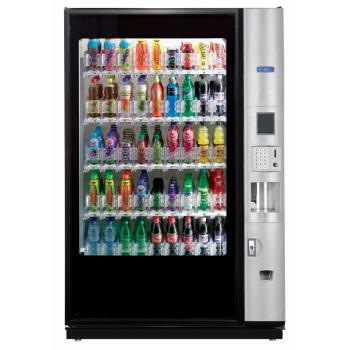 It is a highly reliable machine with capacity of up to 405 drinks, developed by a leading European vending manufacturer. 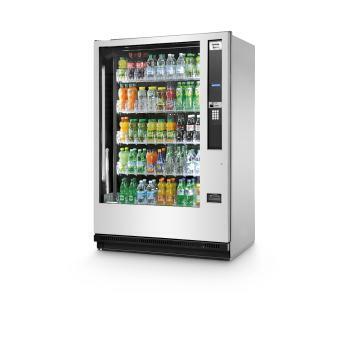 A smaller, more compact configuration of the BevMax 4 is also available. 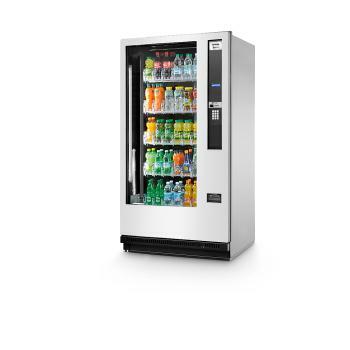 N&W have developed a compact yet stylish cold drinks vending machine with a glass window and LED lighting to enhance the impulse purchase.The size of the vending equipment gives it an edge over any other glass fronted drinks machine in that it offers great capacity in a tight area. This machine is capable of being placed in any indoor environment due to its fully insulated metal cabinet that helps retain a cool temperature and resists mild vandalism. This cold drinks vending machine from N&W is sturdy yet stylish with a large glass window to enhance impulse purchases. This machine is capable of being placed in any indoor environment due to its fully insulated metal cabinet that helps retain the internal temperature of the machine and resists mild vandalism with its metal construction.